All of these dresses from Lulu's are super adorable! Upon seeing these, we got VERY hopeful that the weather would be warming up soon enough so we can wear and shop for dresses! If you are a dress fanatic, these dresses are super cute and not too pricey (although there are cheaper options out there ladies!). Our goal for this spring and summer is to wear more dresses, mainly because they are super comfortable and breathable! Just look at how cute all of these dresses are! 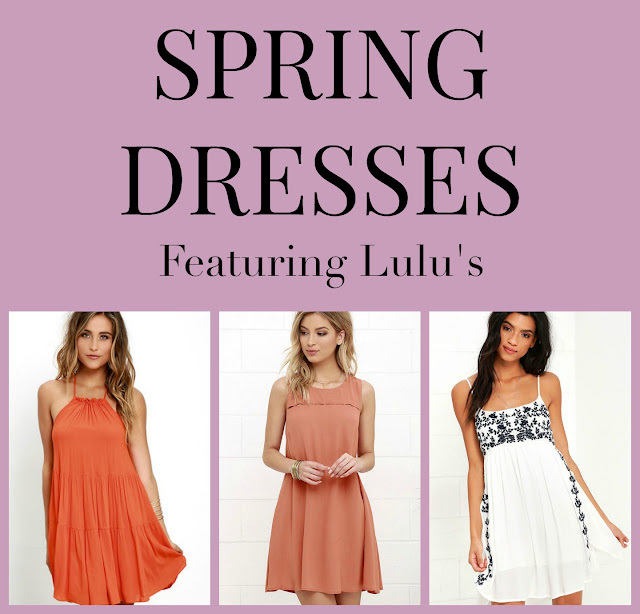 Comment down below telling us what your favorite dresses for the Spring/Summer are!